In this article we will talk about Graco Nautilus 65 and Graco My Ride 65. Graco Nautilus 65 and Graco My Ride 65 are two car seats introduced by Graco with $100-$200 price range. What is the difference between those two car seats? I’m sure that you need to know the answer for that question before you can decide which of them is more suitable for your needs. But before we talk more about the differences of Graco Nautilus 65 and Graco My Ride 65, Let’s shortly-review those two car seats. 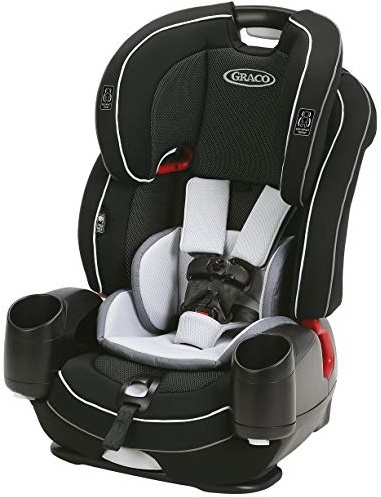 Graco Nautilus 65 is introduced as harness-booster car seat that can be used as forward-facing harness car seat, high-back booster car seat and backless booster car seat. As forward-facing harness car seat, Graco Nautilus 65 can be used for 22-65 toddler, while in its high-back booster mode It can be used for 30-100 lbs kid. And finally, Graco Nautilus 65 can be used as backless booster for 40-100 lbs bigger kids. 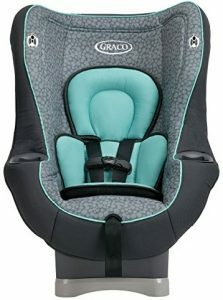 Graco Nautilus 65 comes with Simply Safe adjust harness system that can adjust the headrest and harness in one motion to make sure that your child is properly fit as they grow. It’s also completed with 5-positions adjustable headrest to accommodate your growing child. We can also find 3-positions recline that keep your child comfortable as they grow. Graco Nautilus 65 comes with steel-reinforced frame that provides strength and durability that combined with EPS energy absorbing foam for effective impact energy management. Graco Nautilus 65 is already side impact tested so that you can be sure It’s safe from side impact collision. Graco Nautilus 65 is already latch equipped so that It can be easily installed on your vehicle’s seat. Graco Nautilus 65 is also completed with cup holder to help your child easily access their favorite drink during their trip. It also comes with machine washable seat pad that help you to easily clean your car seat when It gets dirty. Graco My Ride 65 comes as convertible car seat. It can be used as rear-facing car seat then converted into forward-facing with harness car seat. The rear-facing car seat can be used for 4-40 lbs infant, while the forward-facing harness mode can be used by 20-65 lbs toddler. Graco My Ride 65 is completed with removable infant insert so that you can use it for your smaller infant comfortably and securely. Graco My Ride 65 also comes with 5-point front adjust harness that helps you to get your child in and out of the car seat easily. 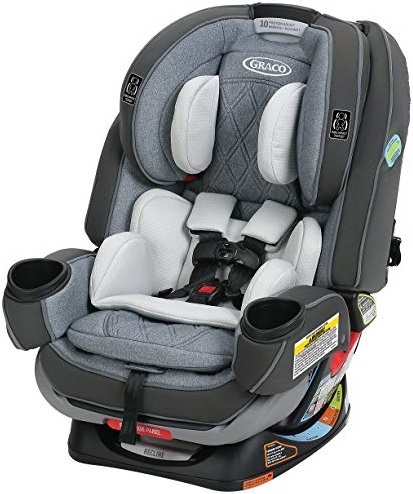 Graco My Ride 65 is already latch-equipped to help you install this car seat easily on your vehicle. It’s also already side impact tested and completed with EPS, Energy Absorbing foam for effective impact energy management. It’s also already rigorously crash tested to meet or exceed US Safety Standards. We can also find dual cup holders on both side of the armrest of Graco My Ride 65. The cup holders helps your child to access their favorite drink during their time in this car seat. The car seat pad of Graco My Ride 65 is machine washable so that you can easily clean this car seat when It gets dirty. Do you want to know the specs and features of Graco Nautilus 65 and Graco My Ride 65? I’m sure that you are interested to know the specs and features of those two car seats before we discuss more about their differences. The specs and features of Graco Nautilus 65 and Graco My Ride 65 can be found on the table below. We can find, from the table above, that Graco Nautilus 65 and Graco My Ride 65 are two different car seats. 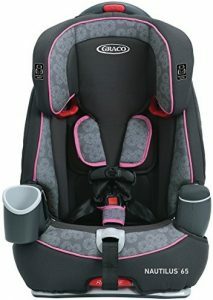 Graco Nautilus 65 comes as harness booster car seat, while Graco My Ride 65 is convertible car seat. Graco Nautilus 65 is intended to be used by 22-100 lbs child, while Graco My Ride 65 comes for children with 4-65 lbs weight. In term of comfort and safety, Graco Nautilus 65 comes with more complete comfort and safety features. It comes with steel-reinforced frame, EPS energy absorbing foam, Simply Safe Adjust Harness System and 3-recline positions that We can’t find in Graco My Ride 65. So if We compare those two car seats in their safety and comfort aspects, We can say that Graco Nautilus 65 is better than Graco My Ride 65. In the Price side, We can find that Graco Nautilus 65 is offered at the higher price than Graco My Ride 65. But I’m sure that the price difference won’t be important for your decision since We also talk about different car seat mode as well. You can indeed check their latest price to find out their current price difference. Which One Suit Your Child Best? Share the post "Graco Nautilus 65 vs My Ride 65 Differences"